Skiing is not something that is learned with a full stop at the end. Get it, got it…good. Skiing is something you can keep learning and derive great pleasure from becoming more competent. As you become a stronger skier you open up new possibilities on the mountain, but often learning new skills is just a pleasure in itself. Have you found yourself stuck on a plateau or just convinced that you’re as good as you’ll ever be at skiing? You may not realise it, but you could be making up excuses that prevent you from becoming a better skier. If you feel like you haven’t progressed your skiing in a long time, it doesn’t mean it’s not possible. Now more than ever, improving your skiing has never been easier. With better equipment that allows you to try new things (aka fat skis – hello off-piste! 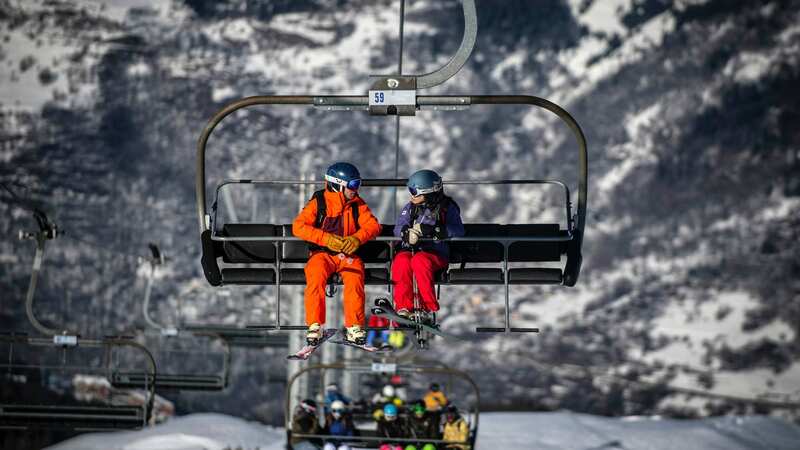 ), specifically designated beginner zones and ski schools offering ‘experiences’ as well as lessons – the possibilities for ski improvement are really endless these days. Whatever level you’re stuck at, there is always a way to move past it and get better. If one of these excuses resonate with you, maybe you’re unintentionally stopping your ski progression. And how you can fix it! Don’t stop here! Snowplough is sometimes essential but defensive, physical and tricky to take onto anything other than a relatively flat slope. 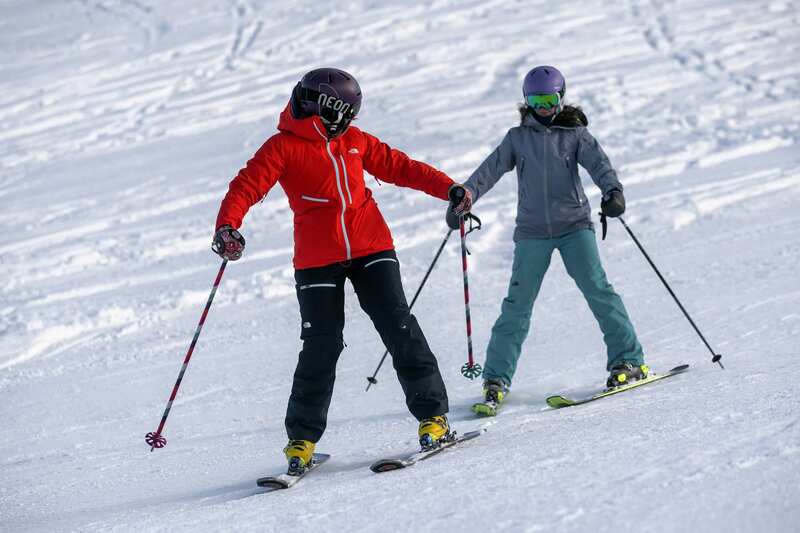 Learning to ski with your skis together is more natural, less tiring and more versatile. In other words, you can get about better and without fatigue. Furthermore, you can still ski at low speeds and on easy slopes – no one says parallel is linked to fast and steep. Excuse #2 – I can ‘get about’ in an ungainly but effective fashion and go where I need to. OK but don’t settle for that. This probably resigns you to a ski life of feeling happy on easy to medium slopes and then a life of struggle on anything harder. Aim to become a competent parallel skier. The coordination and accuracy you learn from a little more effort will instantly pay from making any tougher slope that little bit easier. Excuse #3 – I can ski on any groomed slope but I can’t ski on choppy or inconsistent snow. Exactly the reason to seek how to tackle terrain that is not always smooth and groomed! 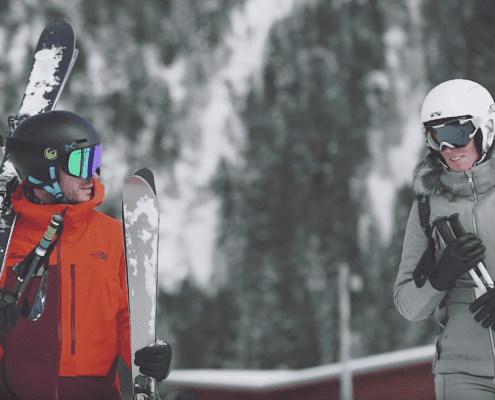 If you are already a strong parallel skier then it is a small step to learn the tactical changes and adjustments to tackle bumpy runs or mixed snow conditions. This then gives you a whole new area to practice and master and will ultimately make you a more rounded and able skier. Almost more than technique, learning a few tactical adaptions will allow you to use your technique in environments that you never thought possible. Excuse #4 – I’ve skied for decades and ski very well. What is there worthwhile to learn? Skiing is a sport of sensations! Go and get some! If you can ski on the piste well then change those skis and try some skis that are shaped for speed and carving. Most recreational skiers have their ‘one stock turn’ that they do but the difference in design between skis of today means that a short stiff carving ski offers you a completely new set of sensations to an all mountain ski. Try it! The skis of today offer so much variation that just by swapping skis you can have a whole new experience! Excuse #5 – I want to ski off-piste but I have heard it’s really difficult. Not anymore! If you can ski parallel competently then there is no reason to not grab a guide and a pair of fat skis and get stuck in. Wider, softer skis designed to help flotation in bottomless powder means that you ‘surf’ in the soft stuff which is much easier than skiing on pencil-thin skis that would sink deep into the snow with every turn. The equipment has made skiing powder an accessible dream to good, intermediate skiers – don’t give up before even checking if it is possible! Skiing isn’t divided into those that can, those that can’t and those in the middle. Wherever you are on the ladder, the next step isn’t far away and isn’t as unattainable as you may think. Keen to get off a plateau? Join one of our ski clinics to push yourself to that next level. With just 2 x 4hr sessions during the week, it leaves you plenty of time to practice and ski with family and friends during the rest of your stay. Find out more about our ski or snowboard clinics.